Just as a doctor will put together a unique treatment plan to remedy your sickness after performing a thorough examination and any necessary tests, a Certified Mold Remediator will put together a remediation plan to treat the mold in your home or building after performing a thorough inspection and reviewing the lab results from mold samples taken. 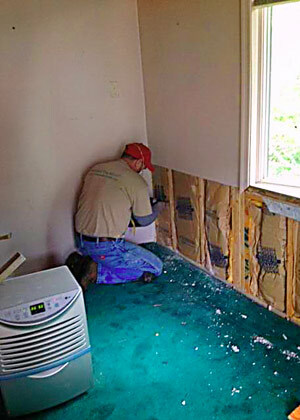 Each remediation scope of work will be specific to the mold conditions in the home or building, just like the doctor's treatment plan will be tailored to fit each individual. You would not let just anyone diagnose you and prescribe you antibiotics and the same should be true when it comes to mold remediation. Make sure that you are working with a licensed, certified mold remediation contractor. While there are no federal or state mold remediation certifications in Pennsylvania or New Jersey, you are required to have a contractor license from the state to perform the work. Currently, mold remediation falls under the "Home Improvement Contractor" title in both Pennsylvania and New Jersey. You also want to know what is being "prescribed" to remedy the mold situation. Again, while there are no state or federal mold remediation guidelines, there are reliable bodies like the Environmental Protection Agency (EPA) and Institute of Inspection, Cleaning and Restoration Certifications (IICRC) that provide mold remediation guidelines. In addition to the actual scope of work, one should inquire about the types of products are being introduced into your environment. Ironically, some products may have more of an effect on your health than the mold itself. Do not hesitate to request the Material Data Safety Sheet for the products that will be used to treat the mold. When selecting a mold remediation company, one should also inquire about a warranty or guarantee. If Post-Remediation Verification (PRV) is performed after the work is complete and discovers there is still elevated levels of unhealthy mold, will the remediation company come back free of charge to address the issue? You would not let just any doctor write you a prescription and tell you which medicine to take. You want a reliable, licensed doctor who you can trust, who follows a specific protocol and who will not treat you with a medicine that will make you sicker. The same things should be considered when selecting a mold remediation company; choose a licensed, insured and qualified company that has put together a plan & scope of work based off your specific needs and that are using safe products that will not make your issue worse. If you have questions regarding mold remediation or are interested in receiving a free plan & quote for mold remediation, contact us today to speak with a mold professional.